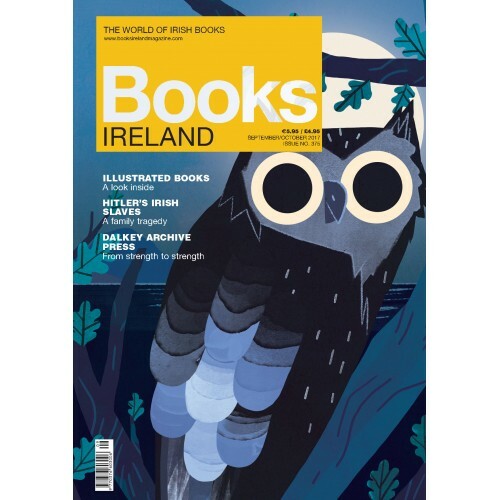 Tarsila Krüse on the evolving role of illustrators in Ireland. Tony Canavan with news from the book world and Caoimhe Fox with updates on book rights. Caoimhe Fox interviews John O’Brien, Dalkey Archive Press. Laurence Fenton discusses why F. Scott Fitzgerald was reluctant to acknowledge his Irishness. Anthony Cannon discovers a home from home for Irish writers in London. David Blake Knox reveals the family story behind his book Hitler’s Irish Slaves. Tony Canavan sinks his teeth into Bram Stoker’s Dracula. Tony Canavan on his surprise literary find in a French railway station. Tony Canavan interviews Emma Byrne, design manager at O’Brien Press. Fatti and John Burke talk about their Irelandopedia series. Illustrators honoured—we take a look at Futa Fata’s Bliain na nAmhrán. Anne O’Leary—Understanding Contemporary Irish Fiction and Drama by Margaret Hallissy. Eleanor Fitzsimons—Before the Wax Hardened by Adrian Kenny. Kevin Kiely—Selected Essays of Seán O’Faolain by Brad Kent. Sinéad Fitzgibbon—The Dead House by Billy O’Callaghan. John Hynes—Cork Rock: from Rory Gallagher to the Sultans of Ping by Mark McAvoy. Fiona Murphy—Women and the Great Hunger edited by Christine Kinealy, Jason King and Ciarán Reilly. Aubrey Malone—The Fractured Life of Jimmy Dice by Ronan Ryan. James Lawless—On Balance by Sinéad Morrissey. Clare Hayes-Brady—Dark Chapter by Winnie M. Li. Mary Burnham—Hopdance by Stewart Parker. Bartholomew Begley—Ireland and the Imperial World: citizenship, opportunism and subversion edited by Timothy G. McMahon, Michael de Nie and Paul Townend. Jennifer Martin—Darkmouth: hero rising by Shane Hegarty. Liz Maguire—Postcard Stories by Jan Carson. Sue Leonard takes her pick of recently published début authors. Paula O’Hare rounds up the unusual suspects on the crime beat. Cathal Póirtéir brings us his selection of recently published books as Gaeilge. Tony Canavan’s listing of all the books sent into us over the last two months. Jim McCarthy on why his favourite book is Langrishe, Go Down..